Hello, and thanks for visiting my site! I’m so thrilled to be part of the YAmazing Race with MGnificent Prizes, a blog hop featuring over 50 debut authors, and prize packs that include ARCs, swag, and more! If you haven’t yet been to the Apocalypsies website, please click here to start from the beginning and read the complete rules. I’m offering my own wondrous giveaway here, too, so scroll down to the bottom to find out more. The Book of Wonders is a race against time and so it feels fitting that I am a part of this amazing race! usurper who, even with his eyes closed, can see all. to Arribitha and defeat the sultan once and for all. Want to win a parcel of wonders, which includes a signed book, a book of wonders pendant, bookmark and bookplate? Watch my trailer here and let me know how many days Zardi has to save her sister and then click on the image of the book above to read the first chapter of The Book of Wonders for free – pick an interesting word from the first chapter and let me know it. Place your answers here on my website. I will pick a winnner from all the answers and announce winners on Jan 28th. Enjoy! Ready for your next stop? Here it is AC Gaughen. Have fun on the rest of your quest! She has ninety days to save her sister. Zardi has ninety days to save her sister. I pick the word dragon. 90 days. I rather liked the word gallantly, but then I spied mutinous and loved it more. Wow love that trailer! Zardi has 90 days to save her sister. My word is Thuban. I love the name and I also love all the big words Rhidan uses. But Thuban won me over. Awesome trailer! Zardi has 90 days to find her sister. As for a word I liked in the first chapter of your book, Kadrijt stood out to me. I like the look of it…though I admit I’m unsure how to pronounce it! I look forward to reading your book! Thanks for taking part in the race, and for this giveaway! Zardi has 90 days yo save her sister and my favorite word was amulet because i like the way it sounds lol like the word jewel. 90 Days, and I pick the word “tresses” because I’ve always liked it. The trailer was very intense and I was immediately sucked into it. Zardi has 90 days to save her sister. I liked the word charlatan, even though it sounds kind of noble for a fraud. Zardi has 90 days to save her sister and my favorite word from the first chapter was dragon because who doesn’t love dragons. Mutinous is such a scrumptious word. Zardi has 90 days to save her sister. A word I found interesting from the first chapter was Kadrijt. Looks like a cool word and a good name for caves. Cool trailer. I love The Find the Magic tagline. For my answer to your question, Zardi has 90 days to save her sister! My favorite word is vizier. It’s my first time to hear that word. Now on to more reading. I read the 1st chapter and I just have to read more. Great, interesting story. Awesome cover as well. 🙂 Wishing all the best for your book! Zardi has 90 day find and save her sister. My word that caught my attention was vizier, it sounds cool. 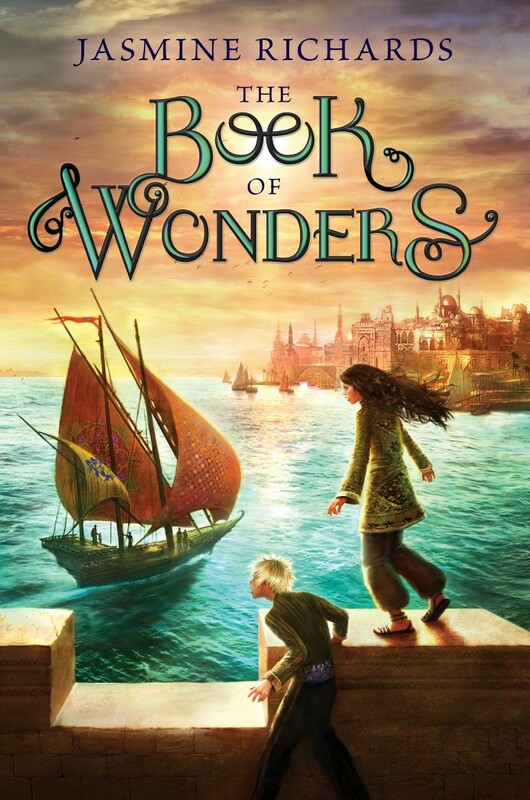 Love the trailer for The Book of Wonders! Zardi as ninty days to save her sister. I’ve always been kind of fond of the word “ingenius”. 90days and my pick is “charlatan”. she had 90 days to find her sister and I chose the word talisman (so many great books have a talisman in them!). Thanks for the YAmazing giveaway offer! I’m truly looking forward to reading the Book of Wonders! Thank you so much for entering and hope you enjoyed the YAMAZING RACE! I’m delighted to say that after putting all the names in a hat Jessica is the winner – I will contact her directly. Do drop by again as there will be other chances to win or visit these blogs for a chance to win!